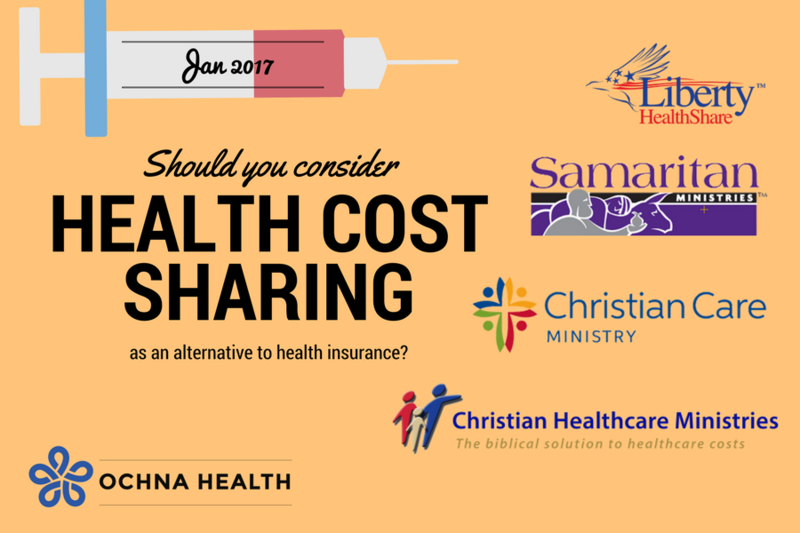 Given the escalating cost of health insurance premiums, Health Cost Sharing is a true alternative to health insurance. For a monthly fee that is 40-60% lower than most insurance premiums, it provides catastrophic coverage, while a Direct Primary Care membership can help fill in with easy access to quality primary care services. It may not be for everyone due to restrictions on pre-existing conditions. We compile this table below for the four major health cost sharing plans currently operating. It is not meant to be comprehensive, so please review the Sharing Guidelines of the respective plans for further details prior to joining. Direct Primary Care Membership often include office visits in the monthly membership fee. Cost might be higher when not using MultiPlan, such as a co-liability of 20% at non-PPO hospitals. 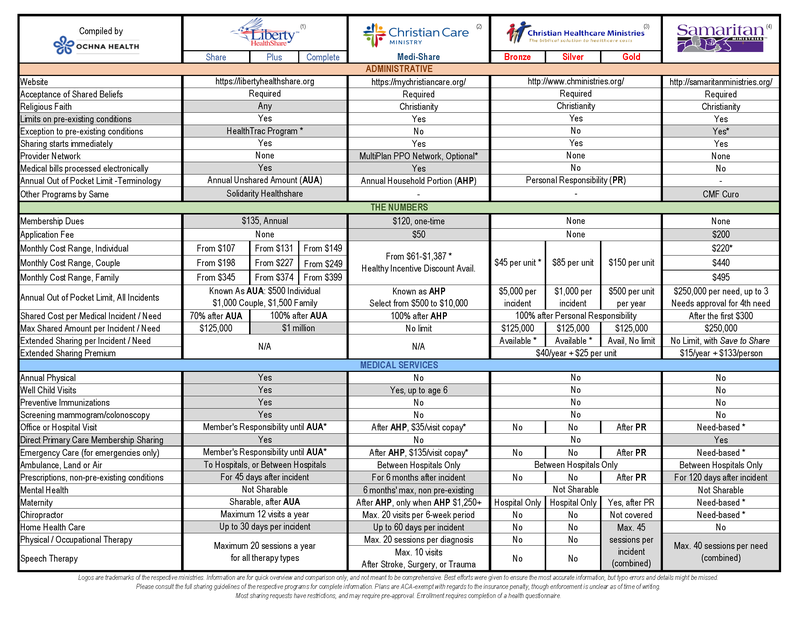 The $35 and $135 co-payments are required even after the member has met the AHP amount. A unit can be an adult, or all dependent children of an adult. Participation is required for Extended Coverage. For Bronze and Silver, amount is increased by $100,000 per year of renewal up to $1 million maximum. For Gold, it is unlimited. Rates are less if both adults are less than 25 years of age: $180 Individual, $360 Couple, $445 Family.